The UCLA Basketball team made a slight advancement in the AP Poll as they now come in at #6 in the latest Top 25. Is the Bracket Challenge going to make the AP Poll irrelevant the way the College Football Playoff rankings did? That is yet to be seen, but for now, it looks as if the AP Poll is the definitive authority on rankings which is good for the UCLA Basketball team. This week, the Bruins jump four spots and are now ranked 6th in the nation after an impressive week which included a comeback win over then-#5 Oregon last Thursday and a beating of Oregon State on Sunday. This is in contrast to the Bracket Previw that came out on Saturday which had the UCLA Basketball team as the 15th overall team to be seeded. The Bruins started the Pac-12 portion of the season 6-3 with losses to Oregon, Arizona and USC. Since then, the Bruins have won three straight games which included their second road sweep of the season up in the state of Washington and the 82-79 win over the Ducks in which the Bruins came back from 19 down. There has been a noticeable shift in the Bruins’ approach to games since their last loss. Defense has been the key for the Bruins, and has been more effective in the last few games. 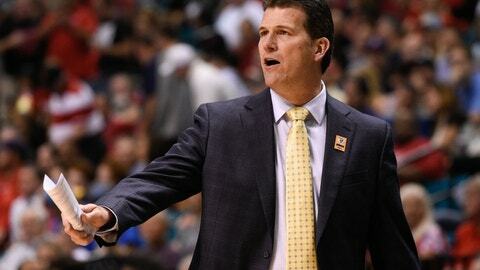 UCLA Basketball Head Coach Steve Alford has tasked about how they have given a deeper focus to defense in practice. We saw the effects of it when it came alive in the second half against Oregon. Here is how the rest of the Pac-12 placed in the AP Top 25: #5 Arizona, #6 UCLA and #7 Oregon.